It supports 10 different hash functions such as MD2, MD4, MD5, SHA1, SHA-256, SHA-384, SHA-512, Tiger, RIPEMD-128 and RIPEMD-160. Note: Hash Decrypt doesn't contain wordlist files. You have to insert them into "/sdcard/hashdecrypt" folder. Remember, a file must not contain more than 200000 words. 1. 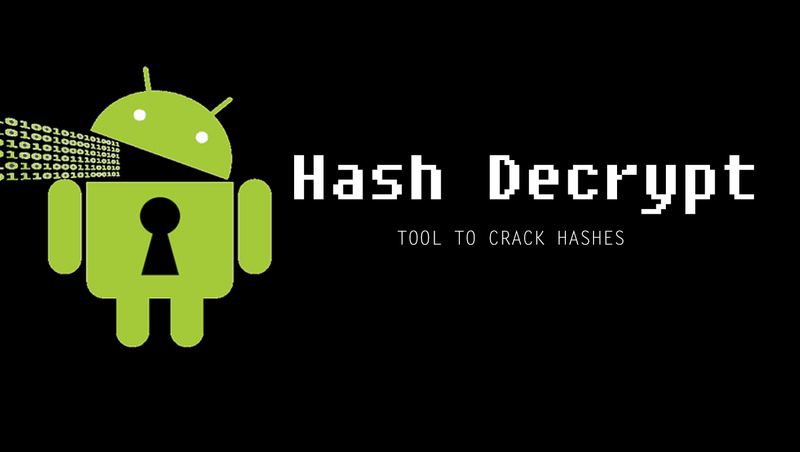 Download and install Hash Decrypt on your device. Note: Download links are at the end of this article. What you are seeing now is the "Encoder". You can use this to hash a string. All you have to do is, input the string and then select a hash function, then tap on the "Hash It!" button. And, you know how to use it, right?! I hope you liked this article. If you did, please share this article with your friends and followers.